In the last 3 months I have been asked numerous times to recommend plants for exposed areas, particularly on the south coast – so here is the first in a series of 3 blogs about this. 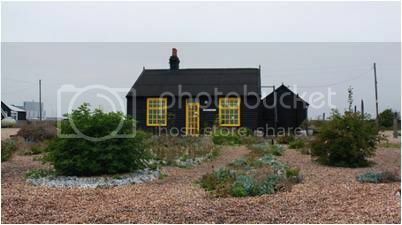 Anyone wishing to make a cottage garden by the sea, should look away now, move or just keep fantasising. This is more about using the right plant for the right place – sound like a mantra but it does work! WHY DO WE NEED SPECIALIST PLANTS? A number of factors contribute to most plants being either shredded, dying or just basically blowing away! IT ALL COMES IN 3s ..... 3 lines of DEFENCE, 3 zones and plant in 3s – easy! A wind break is an imperative if you want to build a garden with a modicum of plants and flowers unless you want a total shingle beach garden like Derek Jarman’s or pure sand. If you want a ‘garden’ there is no other way, otherwise it could look a tad boring and uninteresting. Except for this one below which I understand is stunning (have yet to visit). By a wind break I don’t’ necessarily mean a wall or a fence – it’s actually best not to have any solid barriers. If you have a solid wall, the wind would sweep down the wall in swirls which in turn creates huge turbulence and decimates your garden. A semi-permeable barrier will reduce wind speed by up to 1/5 and 4 x the height of the barrier – a substantial protection. A good balance of 40/60 openness to solid is a good rule of thumb. You can of course use a fence, picket fences are lovely by the British sea-side but they will do absolutely nothing to halt that mixture of wind, salt and sand entering your beautiful garden and completely shredding it in minutes. I prefer plant based barriers, there are many to choose from and planting together, they are extremely effective at holding back the most destructive elements of the coast. The three zones -divide your barrier in 3s: the first line of defence is where you will plant the toughest plants, the ones that will shelter your garden most effectively, they are almost indestructible. You need to plant closely together at say 20cms depending on species. These plants will not grow too high and can be either deciduous or evergreen – personally I like mixing them. The 2nd zone is where you can use local species effectively, again mix evergreen with deciduous, planted 30 cms apart or so and you want to encourage growth at the base. You want to aim to grow them higher than Zone1. Then you come to Zone 3 – this is where you can indulge your passion for your basic planting along with the best trees and shrubs to give you a gorgeous garden. Plant in 3s! Always plant a grouping of species, most of these plants if not closely planted together can look sparse and a bit skeletal. Therefore it is imperative to plant close together and in 3, 6 or 9s. I like a barrier of different species personally; planting in 3s means you have enough of one to see its texture and beauty before moving your eye along to the next lovely plant. Vigour of the plant – will they grow tall and spread out? Is it a windy, dry, wet site? Choose appropriate plants – go to a local nursery. Remember right plant right place. How do the plants disperse of their seeds? If by wind, you could be inundated with unwanted plants the year after! SO WHAT CAN YOU CHOSE FOR YOUR ZONE 1? 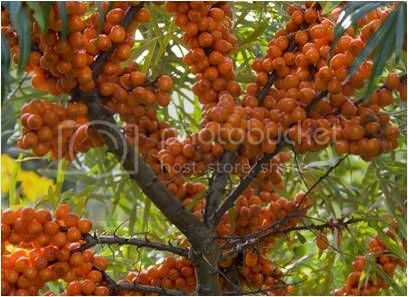 Hippophae rhamnoides – Sea Buckthorn - Very hardy - Deciduous shrub –Local-Thickets on fixed dunes. With a height of up to 6metres and a width of 2.5, it grows at a medium rate. Flowers in April, seeds ripen from September to October and it loves loves loves the sandy soil (although it will grow anywhere actually). It does need full sun – so no shade for this colourful plant. Plant close together, and in 3s! All types of soil acidity. 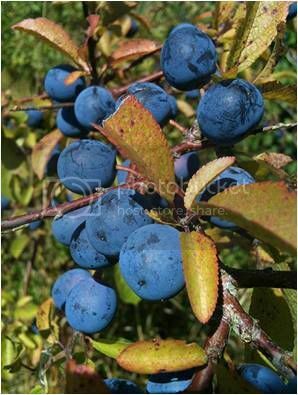 Prunus spinosa – Blackthorn or better known as Sloe –Tough- fantastic for Hedging -deciduous shrub. Grows to a height of 3m and a width of 1.5, medium rate of growth. It flowers from March to April and the seed ripen in October – great for making Sloe gin too!!! Wildlife loves this plant and that’s always a must. Loves the good drainage available on sandy soil and does not mind some light shade. All types of soil acidity. 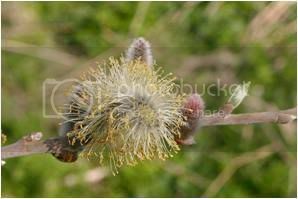 Salix alba, best is Salix caprea – Goat Willow -deciduous tree- grown to a height of 10m and with a width of 8m! Fast grower too. Flowers from March to April and the seeds ripen in May. Flowers are either male or female, so both need to be planted if you want the seed which birds love. It is pollinated by bees by the way. It loves the sandy soil and doesn’t mind a maritime battering. All types of soil acidity. 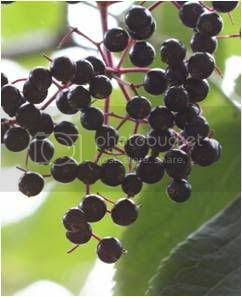 Sambucus nigra – Elder -Quick grower, large leaves -deciduous shrub. Grows to a height of 6m with a width of 6m. It’s a fast grower. In leaf from March to November, in flower from June to July and the seeds ripen from August to September. Noted for attracting wildlife and again it loves sandy soil and all types of soil acidity. All types of soil acidity/alkalinity. Next time we will go through some of the Zone 2 plants that you can use if you live in an exposed area or by the sea.